The ‘curse’ of winning the lottery? Many people want to win the lottery. Even those who rarely get involved tend to get lottery fever when the jackpot gets high enough. The New Hampshire woman who won the $559.7 million Powerball jackpot last month is refusing to claim her prize until she’s assured anonymity. And she may have a compelling reason to seek the guarantee. If you win the $1.5 billion Powerball jackpot, you may not be as lucky as you may think. Many winners befall the so-called curse of the lottery, with some squandering their fortunes and others meeting tragic ends. About 70 percent of people who suddenly receive a windfall of cash will lose it within a few years, according to the National Endowment for Financial Education. http://time.com/4176128/powerball-jackpot-lottery-winners/. So, even those who ‘win’ still lose. No one wants to discourage you from winning, but here’s a reality check: Loot can bring some ugly into your life, so you had better be ready for it. These are the ways megabucks can megabackfire. 1. Your friends will take advantage. 2. Your relationship could fail. 3. You’ll have an increased risk of bankruptcy. 4. You’ll have to fight off a host of long-lost family members. 5. You’ll be a target for a litany of lawsuits and scams. You also seem to have an increased risk of being killed (see http://www.foxnews.com/us/2018/02/06/curse-winning-lottery.html). Many people fantasize about winning the lottery. They are convinced winning a large amount of money will improve their lives. Yet, that is most often not the case. Furthermore, most lose, of course, when they buy lottery tickets. And, as I have written for years, the lottery is a tax on the poor. The odds of winning the lottery are worse than most other forms of gambling. And, reports by lottery winners show that they are often less happy after they win. Gamblers, of course, typically lose. Many deceive themselves about what they would do with large gambling winnings. Some gamblers seem to try to make some type of deal in their heads with God, hoping that He will decide that they should win. A decade or so ago, I recall a scene from a movie called Bruce Almighty and the lottery. The premise of the movie was someone named Bruce (played by Jim Carry) complained about God and how he did not feel that God was doing His job right. So, in the movie, God allowed Bruce to be able to hear and answer prayers for a region. It does not take long for Bruce to get overwhelmed by the process. So, for a time he decides to give everyone whatever they asked for. So, with the next lottery ticket drawing, all those in the area Bruce was responsible for, were allowed to win. The winners all acted very pleased when they won, until they realized that each would only get a few dollars as the prize was split among all who asked ‘God’ to win in that area. They were not pleased that they had to share the winnings with so many others. I suspect that many have prayed that God would allow them to win the lottery or other forms of gambling. Few, if any, have prayed that someone they are not close to, will win. It was interesting to note that the American and Anglo-Saxon nations had six of the eleven top biggest gambling losing nations in the world. Gambling often gets people to be focused on getting something for nothing. I believe that public lotteries often demotivate people to improve themselves financially. 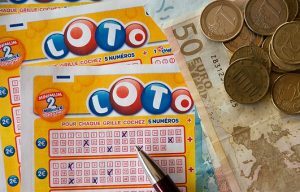 Many seem to give up on improving themselves and rely on buying lottery tickets as a means to tell themselves that they are trying to get out of poverty and other financial worries. Instead of working harder, getting better job training, and/or improving education, many poor resign themselves that the lottery is their answer. They do not understand, What is the Meaning of Life? 31 Therefore do not worry, saying, ‘What shall we eat?’ or ‘What shall we drink?’ or ‘What shall we wear?’ 32 For after all these things the Gentiles seek. For your heavenly Father knows that you need all these things. 33 But seek first the kingdom of God and His righteousness, and all these things shall be added to you. 34 Therefore do not worry about tomorrow, for tomorrow will worry about its own things. Sufficient for the day is its own trouble. Instead of seeking first the Kingdom of God, they seek to get from others. Of course, that is not limited to lottery ticket purchasers, but their focus suggests the way of get and not the loving way of give (though there can be exceptions). Lotteries are not the answer. Lotteries are not good for humanity. Governments should not promote them. Gambling and Sin: Is it a Sin for Christians to Gamble? What does the Bible reveal? A related video is Gambling: A Covetous Sin? Ending Your FINANCIAL WORRIES How can people help themselves and others financially? Herbert W. Armstrong wrote this as a booklet on this important subject. A video of related interest would be: Dealing With Financial Worries. This entry was posted on Monday, February 11th, 2019 at 12:01 am	and is filed under Doctrine. Gambling: Ben Affleck allegedly ‘banned’ because he did not lose often enough.